The Site offers, fitness and nutrition related information, but are designed for non-commercial, informational purposes only. YOU SHOULD NOT RELY ON THIS INFORMATION AS A SUBSTITUTE FOR, NOR DOES IT REPLACE, PROFESSIONAL MEDICAL ADVICE, DIAGNOSIS OR TREATMENT. IF YOU HAVE ANY CONCERNS OR QUESTIONS ABOUT YOUR HEALTH OR THE CONTENT ON THE SITES OR SERVICES, YOU SHOULD ALWAYS CONSULT WITH A PHYSICIAN OR OTHER HEALTH-CARE PROFESSIONAL. DO NOT DISREGARD, AVOID OR DELAY OBTAINING MEDICAL OR HEALTH RELATED ADVICE FROM YOUR HEALTH-CARE PROFESSIONAL BECAUSE OF SOMETHING YOU MAY HAVE READ ON THE SITE OR THROUGH THE SERVICES. THE USE OF ANY INFORMATION PROVIDED ON THE SITES OR THROUGH THE SERVICES IS SOLELY AT YOUR OWN RISK. Nothing stated or posted on the Site or available through any Service is intended to be, and must not be taken to be, the practice of medicine or counseling care. For the purposes of this agreement, the practice of medicine and counseling includes, without limitation, psychiatry, psychology, psychotherapy, the practice of pharmacy, nutrition and fitness counseling or providing health care treatment, instructions, diagnosis, prognosis or advice. Developments in medical research may impact the health, fitness and nutritional topics discussed on the Sites or through the Services and no assurance can be given that the information contained in the Sites or the Services will always include the most recent findings or developments with respect to the particular material. Your access or use of the Sites and the Services does not create in any way a physician/patient, confidential, or privileged relationship, or any other relationship that would give rise to any duties on our part or the part of our Licensors. We do not recommend or endorse any specific tests, physicians, clinics, procedures, opinions, products or other information that may appear on the Sites or Services. If you rely on any of the information provided by this Site or the Services, our employees, or guests or visitors to the Sites, you do so solely at your own risk. You agree to abide by all applicable local, state, national, and international laws and regulations, including U.S. export and re-export control and economic sanction laws and regulations, with respect to your use of the Sites and Services. You also acknowledge and agree that your use of the Internet and access to the Sites is solely at your own risk. You should also understand that the confidentiality of any communication or material transmitted to/from a Site over the Internet or other form of global communication network cannot be guaranteed. Accordingly, Everyday Hearing is not responsible for the security of any information transmitted to or from the Site. Everyday Hearing reserves the right to prohibit or terminate use of or access to the Site at any time, without notice, for any reason whatsoever. You acknowledge and agree that the Site and Services contain proprietary and confidential information that is protected by applicable intellectual property and other laws, and are the sole property of Everyday Hearing, its Licensors or our content providers. Unless otherwise specified in writing, the Services are for your personal and non-commercial use. In connection with your use of the Site and/or the Services, you acknowledge and agree that you will not: 1. Copy, reverse engineer, reverse assemble, otherwise attempt to discover the source code, distribute, transmit, display, perform, reproduce, publish, license, create derivative works from, transfer or sell any information, software, products or services obtained through the Sites or the Services; 2. Access the Site or Services by any means other than through the standard industry-accepted or Everyday Hearing-provided interfaces; 3. Post or transmit any material that contains a virus or corrupted data; 4. Delete any author attributions, legal notices or proprietary designations or labels; 5. Violate any applicable local, state, national or international law, rule or regulation or use the Site and/or the Services for any purpose that is prohibited by these TOU; 6. Manipulate or otherwise display the Site and/or the Services by using framing or similar navigational technology; 7. Register, subscribe or unsubscribe any party for any Everyday Hearing product or service if you are not expressly authorized by such party to do so; 8. Use the Sites or the Services in any manner that could damage, disable, overburden or impair Everyday Hearing’s servers or networks, or interfere with any other user’s use and enjoyment of the Sites and/or the Services; 9. Gain or attempt to gain unauthorized access to any of the Site, Services, accounts, computer systems or networks connected to Everyday Hearing through hacking, password mining or any other means; 10. Obtain or attempt to obtain any materials or information through any means not intentionally made available through the Site or the Services or harvest or otherwise collect information about other users without their consent; 11. 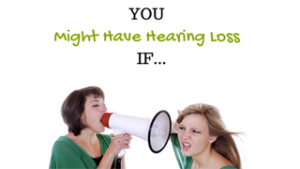 Use the sites in any manner that could damage, disparage, or otherwise negatively impact Everyday Hearing. In addition, you agree to comply with our Posting Guidelines below. WITHOUT LIMITING THE GENERALITY OF THE FOREGOING, COPYING OR REPRODUCING ANY SERVICES, PROGRAMS, PRODUCTS, INFORMATION OR MATERIALS PROVIDED BY EVERYDAY HEALTH TO ANY OTHER SERVER OR LOCATION FOR FURTHER REPRODUCTION OR REDISTRIBUTION IS EXPRESSLY PROHIBITED. Certain products or services may be offered for sale on the Site or through the Services. In the event you wish to purchase or to subscribe for any of these products or services, you will be asked by Everyday Hearing or an authorized third party to supply certain information, including without limitation, your full name, address, telephone number and credit card information. You agree to provide us or such third party with the foregoing information as well as any other mandatory information. You agree that any such information provided shall be accurate, complete and current. You agree to comply with the terms and conditions of any agreement that you may enter into governing your purchase of the product or service. You shall be responsible for all charges incurred through your account as well as for paying any applicable taxes. By providing Everyday Hearing with your credit card number and associated payment information, you agree that Everyday Hearing and/or our third party service providers are authorized to immediately invoice your account for all fees and charges due and payable to us as a result of your order, including but not limited to service fees, subscription fees or any other fee or charge associated with your access to the Services and/or purchase of products. In the event that access to an applicable Service requires a recurring payment, you agree that we (or our third party payment service provider) may automatically invoice your account at the beginning of each recurring period. We reserve the right to increase charges and fees, or to institute new charges or fees at any time, upon reasonable advance notice communicated to you through a posting on the applicable Site or such other means as we may deem appropriate from time to time (including electronic mail or conventional mail). You agree to immediately notify Everyday Hearing of any change in your billing address or the credit card used for payment hereunder. Your right to use a paid service or a specific product is conditional upon our receipt of payment. If payment cannot be charged to your credit card or if a charge is refunded for any reason, including chargeback, we reserve the right to either suspend or terminate your access and account. You agree that in the event we are unable to collect the fees you owe us for the products or services specified in your order, we may take any other steps we deem necessary to collect such fees from you, and that you will be responsible for all costs and expenses incurred by us in connection with such collection activity, including collection fees, interest, court costs and attorneys’ fees. To review the billing terms on your account or to terminate a subscription service, you may email support[at]everydayhearing[dot]com. Any opinions, advice, statements, services, advertisements, offers or other information or content expressed or made available through the Site by third parties, including information providers, are those of the respective authors or distributors and not Everyday Hearing. Neither Everyday Hearing, its Licensors nor any third-party content providers guarantee the accuracy, completeness or usefulness of any content. Furthermore, neither Everyday Hearing nor its Licensors endorse or are responsible for the accuracy and reliability of any opinion, advice or statement made on any of the Site or Services by anyone other than an authorized Everyday Hearing or Licensor representative while acting in his/her official capacity. You may be exposed through the Sites or Services to content that violates our policies, is sexually explicit or is otherwise offensive. You access the Sites and Services at your own risk. We take no responsibility for your exposure to third party content on the Sites or the Services. Everyday Hearing and its Licensors do not assume, and expressly disclaim, any obligation to obtain and include any information other than that provided to it by its third party sources. It should be understood that we do not advocate the use of any product or procedure described in the Site or through the Services, nor are we responsible for misuse of a product or procedure due to typographical error. If Everyday Hearing conducts a sweepstake, contest, or game on the Sites, the rules governing any of the foregoing shall be accessible through a hypertext link prominently displayed on the page where the sweepstake, contest or game may be located. By entering or participating in any of them, you agree to be subject to those rules, regulations and procedures. Please remember to read the rules carefully before participating. 8. Disclaimer Regarding Linked Third Party Sites. Your participation, correspondence or business dealings with any third party found on or through our Site and Services, including, without limitation, advertisers and other users, regarding payment and delivery of specific goods and services, and any other terms, conditions, representations or warranties associated with such dealings, are solely between you and such third party. You agree that Everyday Hearing shall not be responsible or liable for any loss, damage, or other matters of any sort incurred as the result of such dealings. THE SITES AND THE SERVICES, AND ANY CONTENT, TOOLS, PRODUCTS OR SERVICES DISPLAYED, ACCESSED OR OBTAINED ON OR THROUGH THE SITES AND SERVICES ARE PROVIDED “AS IS”, “AS AVAILABLE”, AND WITHOUT WARRANTIES OF ANY KIND, EITHER EXPRESS, IMPLIED OR STATUTORY, INCLUDING, WITHOUT LIMITATION, WARRANTIES OF TITLE, NON-INFRINGEMENT, MERCHANTABILITY OR FITNESS FOR A PARTICULAR PURPOSE. WITHOUT LIMITING THE GENERALITY OF THE FOREGOING, EVERYDAY HEALTH, ITS LICENSORS AND THEIR AFFILIATES, SUPPLIERS, AND AGENTS DO NOT WARRANT AND EXPRESSLY DISCLAIM THAT: (i) YOUR USE OF THE SITES AND/OR SERVICES AND ACCESS TO AND USE OF ALL OF THE TOOLS AND FEATURES THEREON WILL BE UNINTERRUPTED, ERROR-FREE OR SECURE; (ii) THAT ANY INFORMATION OBTAINED THEREIN IS ACCURATE, RELIABLE OR COMPLETE; (iii) THAT DEFECTS WILL BE CORRECTED; OR (iv) THAT ANY SOFTWARE, SERVICES, SITES OR SERVER(S) ON WHICH THE SITES OR SERVICES ARE HOSTED ARE FREE OF VIRUSES OR OTHER HARMFUL COMPONENTS. YOUR USE OF THE SITES AND THE SERVICES AND ANY INFORMATION OR MATERIALS PROVIDED ON OR THROUGH THE SITES AND SERVICES ARE ENTIRELY AT YOUR OWN RISK. WE MAKE NO REPRESENTATIONS OR WARRANTIES ABOUT THE PRODUCTS OR SERVICES SOLD OR ADVERTISED HEREIN OR ABOUT THE SATISFACTION OF GOVERNMENT REGULATIONS REQUIRING DISCLOSURE OF INFORMATION ON PRESCRIPTION DRUG PRODUCTS WITH REGARD TO THE CONTENT CONTAINED ON THE SITES OR THROUGH THE SERVICES. WE MAKE NO REPRESENTATIONS OR WARRANTIES WITH RESPECT TO ANY TREATMENT, ACTION OR APPLICATION OF MEDICINE, MEDICATION OR THE INFORMATION OFFERED OR PROVIDED WITHIN OR THROUGH THE SITES OR THE SERVICES. NEITHER EVERYDAY HEAring NOR ITS LICENSORS, DIRECTORS, OFFICERS, EMPLOYEES, CONTRACTORS, AGENTS OR SPONSORS ARE RESPONSIBLE OR LIABLE TO YOU OR ANYONE ELSE FOR ANY LOSS OR INJURY OR ANY INDIRECT, INCIDENTAL, CONSEQUENTIAL, SPECIAL, EXEMPLARY, PUNITIVE OR OTHER DAMAGES UNDER ANY CONTRACT, NEGLIGENCE, STRICT LIABILITY OR OTHER THEORY ARISING OUT OF OR RELATING IN ANY WAY TO (i) THE USE OF OR INABILITY TO USE THE SITES AND/OR THE SERVICES; (ii) ANY CONTENT CONTAINED ON THE SITES AND/OR THE SERVICES; (iii) STATEMENTS OR CONDUCT POSTED OR MADE PUBLICLY AVAILABLE ON THE SITES AND/OR THE SERVICES; (iv) ANY PRODUCT OR SERVICE PURCHASED OR OBTAINED THROUGH THE SITES AND/OR SERVICES; (v) ANY ACTION TAKEN IN RESPONSE TO OR AS A RESULT OF ANY INFORMATION AVAILABLE ON THE SITES AND/OR SERVICES; (vi) ANY DAMAGE CAUSED BY LOSS OF ACCESS TO, DELETION OF, FAILURE TO STORE, FAILURE TO BACK UP, OR ALTERATION OF ANY CONTENT ON THE SITES AND/OR SERVICES; OR (vii) ANY OTHER MATTER RELATING TO THE SITES AND/OR THE SERVICES. IN NO EVENT SHALL THE TOTAL LIABILITY OF EVERYDAY HEALTH OR ITS LICENSORS TO YOU FOR ANY AND ALL DAMAGES, LOSSES, AND CAUSES OF ACTION EXCEED THE AMOUNT PAID BY YOU, IF ANY, FOR USING ANY OF THE SITES AND/OR SERVICES. Some jurisdictions do not allow the exclusion of certain warranties or the limitation or exclusion of liability for incidental or consequential damages. Accordingly, some of the above limitations and disclaimers may not apply to you. To the extent that we may not, as a matter of applicable law, disclaim any implied warranty or limit liabilities, the scope and duration of such warranty and the extent of our liability will be the minimum permitted under such applicable law. You agree to indemnify, defend and hold Everyday Hearing and its Licensors, subsidiaries, affiliates, officers, directors, agents, co-branders or other partners, employees and representatives harmless from and against any and all claims, damages, losses, costs or expenses (including reasonable attorneys’ fees and disbursements) which arise directly or indirectly out of or from (i) your breach of these TOU; (ii) any allegation that any Submission Materials infringe or otherwise violate the copyright, trade secret, trademark or other intellectual property rights of a third party; and (iii) your access or use of the Sites or the Services. The Digital Millennium Copyright Act of 1998 (the “DMCA”) provides recourse for copyright owners who believe that material appearing on the Internet infringes their rights under the U.S. copyright law. If you believe in good faith that materials hosted by Everyday Hearing infringe your copyright, you or your agent may send to Everyday Hearing a notice requesting that the material be removed or access to it be blocked. Any notification by a copyright owner or a person authorized to act on its behalf that fails to comply with requirements of the DMCA shall not be considered sufficient notice and shall not be deemed to confer upon Everyday Hearing actual knowledge of facts or circumstances from which infringing material or acts are evident. If you believe in good faith that a notice of copyright infringement has been wrongly filed against you, the DMCA permits you to send to Everyday Hearing a counter-notice. All notices and counter notices must meet the then current statutory requirements imposed by the DMCA; see http://www.loc.gov/copyright for details. Everyday Hearing makes no representation or warranty that the content and materials on the Sites or the Services are appropriate or available for use in locations outside the United States. Those who choose to access the Site or use the Services from other locations do so on their own initiative and at their own risk, and are responsible for compliance with local laws, if and to the extent applicable. Everyday Hearing reserves the right, at any time in our sole discretion, to limit the availability and accessibility of the Sites or the Services to any person, geographic area or jurisdiction we so desire, and to limit the quantities of any such service or products that we provide. You agree that Everyday Hearing, in its sole discretion, may terminate your password, account (in whole or in part) or use of the Sites or Services, and remove and discard any content within the Sites or Services, at any time and for any reason. You agree that any actions taken under this Section may be effective without prior notice to you. These TOU and the relationship between you and Everyday Hearing shall be governed by and construed in accordance with the laws of the State of Florida, without regard to its conflict of law provisions. You and Everyday Hearing irrevocably agree to submit to the personal and exclusive jurisdiction of the federal and state courts located within State of Florida, and waive any jurisdictional, venue or inconvenient forum objections to such courts. The failure of Everyday Hearing to exercise or enforce any right or provision of these TOU shall not constitute a waiver of such right or provision. If any provision of these TOU is found by a court of competent jurisdiction to be unlawful, void or for any reason unenforceable, then that provision shall be deemed severed herefrom and shall not affect the validity and enforceability of any remaining provisions. We may perform any of our obligations or exercise any of our rights under this TOU through one or more of our corporate affiliates (including any entity that directly or indirectly controls, is controlled by or is under common control with us). If Everyday Hearing or its assets are acquired by another entity, that entity will assume our rights and obligations as described in this TOU. You may not assign your rights or obligations under this TOU, by operation of law or otherwise, without our prior written consent.